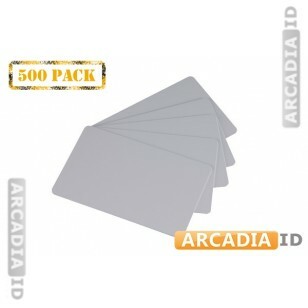 Grey ID cards in packs of 500. Stock up on these cards and be able to create new IDs for your staff and guests. These cards are grey and perfect for use with in a variety of industries thanks to their neutral but attractive coloring. Don't see what you need? Contact us now for more information. For the best quality and prices you can rely on ArcadiaID.